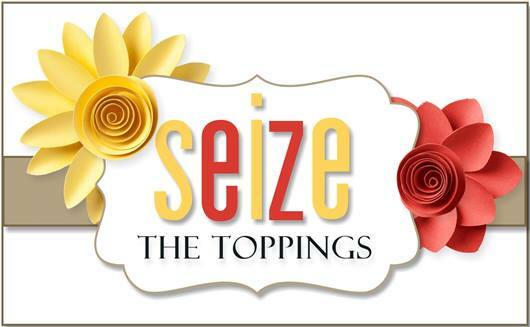 Hello Friends, It’s time again for another fun challenge over at Seize the Birthday! The topping for this go around is Creatures or Animals. I will say that this MFT stamp set inspired my topping idea! Aren’t these dragons just the cutest? My family and I have a thing for dragons. I will be saving this card for my son’s birthday for sure! He will love it even if he’s 25. LOL Over at STB we have a new Surprise Party Guest joining us…her name is Cathy Roffey. Also, one of our fabulous DT members is also back with us! Yippee! Welcome Back Patti! I am over the top excited that you are back! Okay, about my card….I colored this cute little images with my Prisma colored pencils and the clouds are from Lawn Fawn. I use the negative pieces from my MFT rectangle scallops for the double frame. Come on by STB and check out the amazing cards from the entire team and consider joining us! Categories: Cards | Tags: Card making, Cards, Happy Birthday, my favorite things, prisma colored pencils, rubber stamps, stamping | Permalink. Awww! That is so cute and adorable. A wonderful card design. Nancy this is just too adorable! Fabulous colors on your little animals and the stars and clouds do make it very magical!! Love it, friend! Love your adorable magical card. Great design. Have a great weekend and Happy Mother’s Day. Wonderful card Nancy love the colours used and how you used the negaives from the die cuts. Nanc, You know how much that I love this dragon. I waited a long time for him to be back in stock and now I see that you have him too. WE can make wonderful cards with this little happy guy. You have done him justice. Love this. This is darling, Nancy. I love that you placed your dragons in the clouds. These little dragons are THE BEST! Love everything about this card – the colours, the layout – so much cuteness! 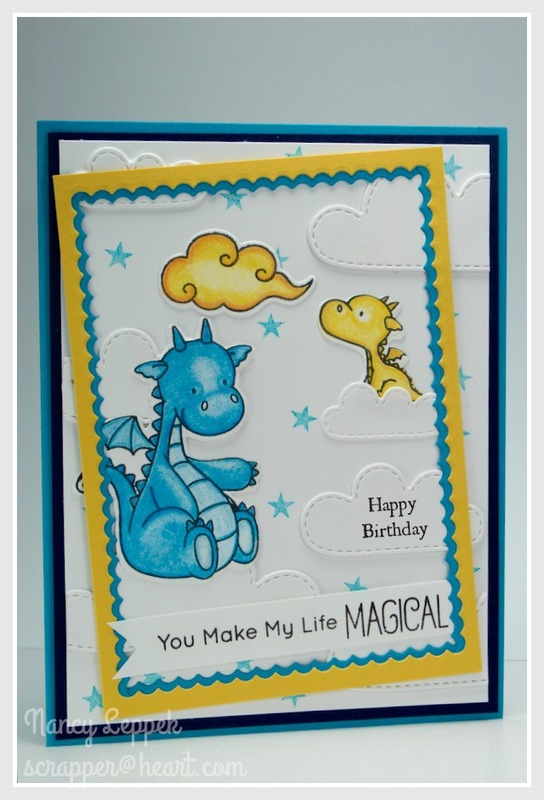 Nancy, I do not have any dragons in my stamp stash but these little guys are the cutest and I think I need them! Such a magical card. And IMHO you are never too old for a cute card! Oh my goodness Nancy! this is so sweet! I LOVE that little guy sitting in the clouds. : ) Darling friend.